Search Engine Optimisation case studies: we currently have 11. French news organisation Liberation decided to take on a fight against fake news and hoaxes to clean the information landscape when the French presidential election entered its final stage in March last year. The result, Liberation took a bold step to stop the bleed and countered the algorithms that connect news article together without considering sources and created the first human search engine by gathering a team of journalists to answer any question asked with curated and sourced information. It started with “Desintox”, an exclusive twitter service before launching Checknews, the slowest search engine on the market, also, its most reliable. LIBERATION - CHECK NEWS from The CABS on Vimeo. Click Consult formulated a search strategy that would help to deliver commercial results across key product areas for LloydsPharmacy Online Doctor, leading to a 144% increase in organic sessions and a 77.59% increase in organic revenue. Dixons Carphone, the company that owns Currys and PC World, dominates the UK market for White Goods, computing and consumer electronics. This case study looks at how the firm worked with Greenlight to optimise paid search campaigns, improving increase in reach by 135%. 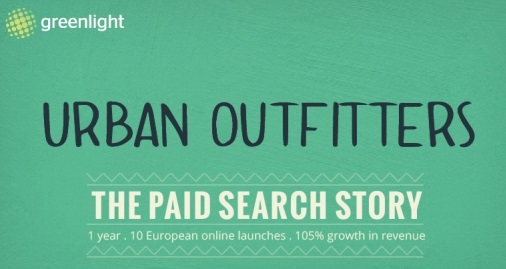 Retailer Urban Outfitters worked with agency Greenlight Digital to streamline its paid search campaigns and expand from three markets to 13 in just one year.